The constantly evolving camera landscape is at times confusing, sometimes maddingly incomparable, but always exciting. Thanks to partners in the camera rental community, we're able to get our hands on some pretty awesome cameras for our commercial productions. Camera rental companies get all the latest cameras in to test and spec out, and then they can disseminate the technical information down to make sense to very visual Directors like myself. When I spoke with the guys at Daufenbach Camera, Cinematographer Jamieson Mulholland and I kept coming back around to the new Panasonic Varicam 35. I have to admit, when I heard the name I balked and tried to avoid the suggestion. For those familiar with production in the 2000s, the word Panasonic brings back horrific memories of P2 card data issues . When the DSLR revolution started in 2009, part of the reason it was such a revolution was in revolt of the Panasonic HVX200 and P2 card recording systems. But they assured me the new card workflow is solid, and when I heard the specs I understood why they were so persistent. If you're a Director or Cinematographer, you'll want to use this camera for two BIG reasons. 1. In digital cinema, you want to get the highest resolution possible with the ability to shoot in the lowest light possible. These two variables have always been a give and take before. If you shoot with the Canon C500, you get great low-light sensitivity but no 4K. If you shoot with the RED Epic/Dragon you can capture up to 6K resolutions, but the low-light sensitivity leaves much to be desired. With the Panasonic VariCam 35, you get both. You can shoot in extremely low light without sacrificing image quality. Panasonic has given us a revolutionary camera with crazy-high ISOs and 4K resolution in one package. They do this by giving two bases of ISO. According to Adam McKay of Fstoppers.com in his review, "A base level ISO of 800 really isn't all that impressive anymore as it has become pretty much standard on all new cinema cameras, but the addition of a second base ISO of 5000 is somewhat of a game changer." Watch some of the night scenes in this VariCam Spec Video. Truly amazing! 2. You can shoot in 4K and also record smaller resolution proxy files to edit dailies or edit offline without spending precious time reformatting in DaVinci Resolve. This is also a first in digital cinema cameras, and benefits everyone in the production chain: Directors, Editors, and Clients. Take a look and see for yourself what you think of the VariCam 35. Below are the TV spots for the financial campaign I directed using this camera system. We lensed this with a combo of the Angeniuex Optimo 45-120mm Zoom Lens and the Cooke Panchro 25mm lens. We edited using Adobe Premiere Pro, and final color correction was provided by Color Playground in Chicago, IL. Sound design and music composition were provided by our friends at Noise Floor, also based in Chicago. 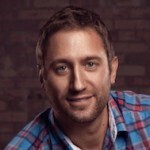 Jeremy Pinckert is a Brand Film and TV Commercial Director. His work for Production Company Explore Media has won over 35 Tellys, Best in Show ADDYs, and an Emmy Award. To discuss commercial advertisement projects he is represented by Chicago-based Bow + Arrow Films. You can follow him on Twitter @jeremypinckert, LinkedIN, and see his commercial portfolio reel.